In this intervention I argue that we are witnessing the emergence of an individualized mode of discipline and security that bypasses populations. This transition from the Foucauldian notion of biopolitics to a regime in which state security apparatuses and individuals interface directly is incremental and uneven, yet its emergence is unmistakable and I seek to explore its technologies of rule and the resistance it provokes. A prescient example of individualized security and discipline is the US government’s top secret surveillance program PRISM. This initiative is spearheaded by the secretive National Security Agency (NSA), and it collects and analyzes basically all electronic communication in the US and abroad. The program was exposed by whistleblower Edward Snowden who was employed by Booz Allen Hamilton and supported NSA operations as a technical assistant. The story was first reported by The Guardian on 6 June 2013 (Greenwald 2013), and its scope is truly staggering – one aspect of the program known as Boundless Informant collected 97 billion pieces of data in March 2013 (Greenwald and MacAskill 2013). More remarkable than the scope of PRISM is its scale, because it breaks with earlier modes of governance that classified individuals as deviant/non-deviant according to their membership in a priori population groups, and it focuses directly on individuals. Michel Foucault charted the emergence of modern discipline and he showed how its initial focus on individual bodies gave way to a more sophisticated avatar that he called biopolitics which takes as its object the human species (2003: 242-263). He shows how European governments in the 19th century sought to ‘improve’ their respective domestic and colonial populations by creating bureaucratic administrations that employed ‘scientific’ and ‘rational’ methods (e.g. statistics, eugenics, demography) to manage relationships among “men and things” (2007: 97). The basic building block of biopolitics is populations – individuals were classified as a member of a particular group (e.g. native, working class, vagabond, insane) and their subsequent interaction with the state largely depended on this classification. Through this system of knowing and ‘seeing’ populations, governments could identify abnormality and then devise interventions aimed at its correction (e.g. through incarceration or education). Security regimes in the 21st century continue to use biopolitical methods of classification to identify threats. For example, police in New York identify individuals to stop and search based on their membership in particular population groups such as ‘young black men’. Security regimes based on populations pose a challenge to security officials, however, because these population groups are abstractions and in spite of constant efforts to redefine their borders they inevitably include false-positives (i.e. ‘non-deviant’ individuals) and exclude false-negatives (i.e. individuals who pose a legitimate threat but do not belong to a ‘deviant’ population group). For example, after 9/11 US security organizations identified Muslim men as a population group whose members are potentially deviant and warrant scrutiny (at airports, for example), but this is an ineffective means of identifying threats since the vast majority of Muslim men are not associated with terrorists. In two spectacular examples of false-positives US border agents frisked the 80-year-old former President of India A. P. J. Abdul Kalam (The Indian Express 2011) and detained Bollywood superstar Shah Rukh Kahn (BBC News 2012), both of whom were ostensibly singled out because they are male, Indian nationals, and have Muslim names. The ineptitude of the border agents involved in these incidents would be comical if it were not accompanied with the knowledge that this type of humiliation is experienced on a daily basis by ordinary men and women whose foreign ministries will not immediately intervene on their behalf. Alternatively, individuals who do commit acts of violence oftentimes avoid scrutiny if they are not members of ‘deviant’ population groups. For example, in spite of high-level cooperation with their Russian counterparts, US security services failed to properly evaluate the threat posed by Tamerlan and Dzhokhar Tsarnaev who recently planted bombs in downtown Boston. Media reports focused on the FBI’s failure to take seriously Tamerlan’s radicalization, and their portrayal of the younger Dzhokhar as a well-adjusted, secular student; since he was not classified as a member of a ‘deviant’ population group, and he led an unremarkable lifestyle, it is easy to see how he escaped the attention of authorities. Thus, biopolitical security regimes have a relatively high margin of error, and for this reason security apparatuses seek to bypass populations and intervene at the individual scale. When President Obama said that PRISM “make[s] a difference in our capacity to anticipate and prevent possible terrorist activity” (quoted in The Guardian 2013), what he meant is that security services can more accurately identify threats with their gaze trained directly on individuals rather than population groups. Just as the biopolitical regimes identified by Foucault were made possible by scientific and administrative advancements, PRISM is enabled by advancements in information and communication technology that allow billions of data points to be collected and processed. While it seems that the US government does have the technological capacity to collect this enormous amount of data, the efficacy of PRISM depends on its ability to ‘see’ potential threats in the myriad Tweets, Facebook ‘likes’, and Skype chats. This is only possible if: [i] individual subjects voluntarily make their entire lives visible online; and [ii] there is little or no discrepancy between individuals’ online persona and their actual selves. This provides an entry point for understanding the technologies of rule of this individualized security regime. While biopolitical security regimes construct populations based on assumptions of their members’ ‘immutable’ and ‘natural’ characteristics, individualized security regimes discard these assumptions; their effectiveness depends on the production of individual subjects who implicitly or explicitly express their political and ideological allegiances (not to mention plans to act on these allegiances) through their browsing history. It seems likely that PRISM will be as prone to misrecognition as security regimes based on biopolitics. The comments sections of online newspapers are full of false-positives, as vitriolic comments that will most likely never be acted upon (e.g. Tea Party enthusiasts ranting about Obama) are never more than a few mouse clicks away. What’s more, people who do plan to act violently may not divulge their plans in chat rooms. Therefore, the problem of false-positives and false-negatives persists, so rather than allowing security services to zero in on individuals who pose serious threats, PRISM is much more likely focus on individuals whose political beliefs are anti-establishment but whose actions remain within the law (e.g. anti-war activists, environmentalists, anti-capitalist activists, etc.). This could have a chilling effect on free speech and foreclose expression in the public sphere as people begin to question the wisdom of their decision to ‘like’ Wikileaks on Facebook, post pictures of themselves in Zuccotti Park, or sign the White House petitions in support of Bradley Manning (White House 2013a) and Edward Snowden (White House 2013b). This individualized security regime amounts to symbolic violence because individuals who express themselves online and become visible to the NSA wonder if they are enabling PRISM, while the alternative option is to remain silent and invisible. In response to this individualized security regime, however, new and creative modes of resistance will undoubtedly emerge. A week after The Guardian revealed the existence of PRISM, a website was created to ‘troll’ the NSA, the idea being that the NSA’s ability to monitor communications would be overwhelmed if everyone sent an email full of key words like ‘terrorism’ and ‘suspension bridge’ that trigger scrutiny (Reilly 2013). The individuals engaged in this sort of activity may become false-positives and attract the unwanted attention of security services, which is exactly what happened to artist and associate professor Hasan M. Elahi, who, after months of harassment from the FBI, began photographically documenting every mundane aspect of his life. Eventually he treated the FBI to a cache of 46,000 photos of everything from parking lots where he had parked his car, to tacos he had eaten in Mexico City (see Elahi 2011). Strangely this seems more realistic than the other extreme of trying not to leave a digital footprint and living without email. Finally, some people may use electronic communication to organize action meant to destabilize the very power structures that are monitoring them. This is what we witnessed during Iran’s 2009 Green Movement as protestors rapidly exchanged information via Twitter. While the Iranian reformists paid a heavy price for their activism, this event reminds us of the importance of direct action. Activists will certainly wrestle with the question of what to post or not to post online in an era of individualized security systems, but equally important in an era of crushing austerity and record-level inequality is collective action. Perhaps the real danger of individualized discipline is not that security services monitor all communication, but that it produces individual subjects who are unable or unwilling to take collective action. The most effective resistance against this subjectification is to renew bonds of solidarity on the street. Indeed, only time will tell if individualized security regimes are able to cope with collective resistance, the likes of which we have recently seen from Tahrir Square and Taksim Square to Zuccotti Park and southern Europe. Seth is an assistant professor, and coordinator of the Global Studies Programme, in the Institut für Asien- und Afrikawissen-schaften (Institute of Asia and Africa Studies) at the Humboldt-Universitaet zu Berlin. His work on globalisation and urbanisation in the global South, informal economies, emergent forms of sovereignty and resistance, and deindustrialisation has been published in International Journal of Urban and Regional Research and Journal of Economic Geography, among other places. This is a great piece from Seth Schindler at AntipodeFoundation on PRISM and biopolitical vs. individualized regimes of security in our era of social media and individual lives made visible online. He takes up the issue of secrecy and transparency that the NSA is supposedly addressing by showing its inability to decipher – even if it were granted all powers to achieve global surveillance – what will remain hidden and absent from people’s Facebook pages and chat rooms, i.e. what people think and plans they may contemplate without making them known, even in private, in the vicinity of electronic telecommunications. 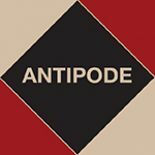 This entry was posted on 2 July 2013 by Antipode Editorial Office in Interventions and tagged activism, biopolitics, Boundless Informant, collective action, discipline, Edward Snowden, Foucault, governance, individualism, National Security Agency, NSA, population, PRISM, security, technologies of anticipation, technologies of rule, terrorism, threat identification, war on terror.